We don't mean to scare you. Really, we don't. School is amazing and educational and enriching and, frankly, mandatory–but here's the thing. 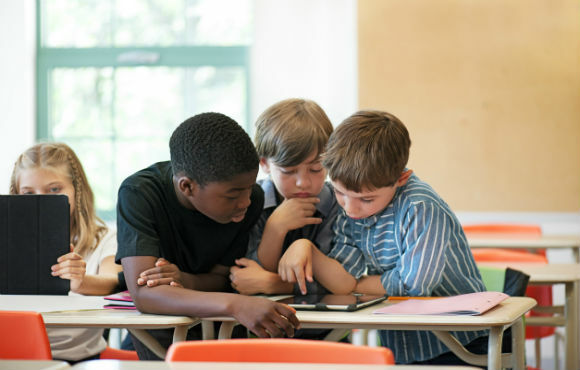 When your child first enters the classroom, or when they return to school after summer break, they'll be exposed to a multitude of bad habits you've managed to avoid at home. This phenomenon is inevitable. Young children are impressionable, and other kids can easily influence them–sometimes for the worst. And often, the only way your child can learn that bad habits are wrong is to test the waters and figure out the pond is not worth the swim. Here are nine bad (or annoying or just plain gross) habits your little darling might pick up at school. And fear not, because we also have strategies for dealing with them. Nothing is worse than a potty-mouthed child. A few weeks at school and suddenly they're talking like they've seen too many episodes of Breaking Bad. "What the #%&$," you might ask yourself. "I never taught them that language, and they've never seen an episode of Breaking Bad." True, but that doesn't mean other children aren't binge-watching. The Strategy: The first time you hear an f-bomb, s-bomb or any other bomb, simply ignore it. Kids are less likely to use the word in the future if you don't react with attention or amusement. If it happens again, keep calm, and explain that the word they have used is not a nice word. Then, tell them that that such language is not permitted in your household. Sure, words and phrases like "What the ef" and "freakin'" are PG-rated, but your child may progress to the R-rated versions. The main issue with this habit is that, in most cases, there are very few consequences. After all, it's not like the kid uttered a four-letter word, and it's often funny in the moment. However, such remarks become tiresome and show a lack of education and discipline. The Strategy: To break this habit, calmly telling your child that it's wrong can have a major impact. As we explained before, he or she may not realize these utterances are inappropriate. And, try not to laugh--even if it's really, really funny. 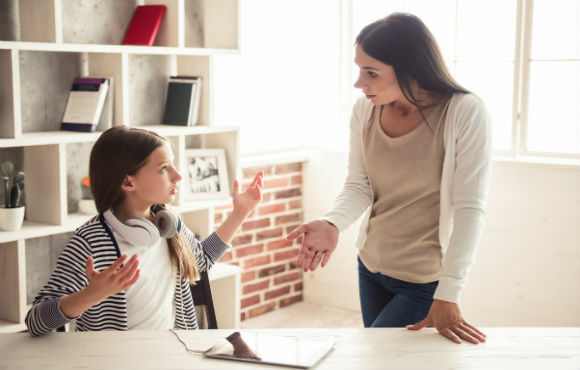 You thought you had until the dreaded teenage years before your kid might start talking to you in a condescending tone, rolling their eyes or responding to simple requests with a heavy dose of sass. 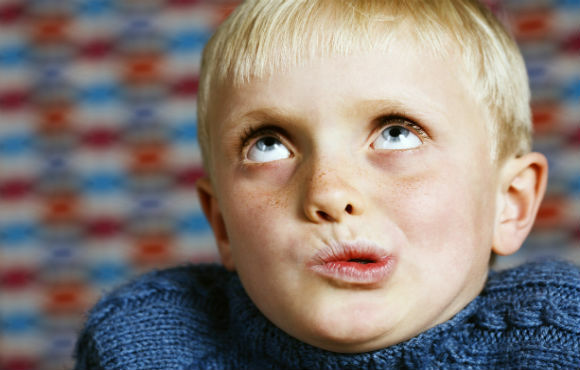 But, what if your child is an overachiever, back talking sooner than later? This can trigger madness in parents, but the way you react is important for your relationship with your child and their future behavior. The Strategy: Try to keep from raising your voice. Take a deep breath and continue the conversation in a civil manner. Ask your child if everything is OK, and you might even learn the root cause of why he or she decided to act this way. Maintain patience, and you never know when a back talk breakthrough could happen. The exaggerated sigh is a close cousin of back talk. It often presents as an automatic response to innocuous statements and requests, and it typically travels in tandem with an eye roll. It's annoying and especially habit-forming, and the quicker you break your child of the dramatic sigh cycle, the better. The Strategy: Once any tension has blown over, explain to your drama king or queen that dramatic sighs, pouts and complaining are immature and will never, ever get them what they want. This should put an end to the soap opera antics. Kids choose to lie for a number of reasons. Maybe they're telling outrageous whoppers to get attention from their new classmates. They might also lie to sidestep trouble at home or at school. No matter the reason, it's a habit that a parent must nip in the bud. The Strategy: If you catch your child in the act, emphasize the importance of always telling the truth. Explain that lying just makes matters worse, and illustrate the consequences. One way to do so is by taking away electronics or assigning extra chores for a set amount of time. A serious habit some children pick up is the passing and copying of small homework assignments between classmates. They often consider it a very minor infraction ("It was just a dumb worksheet! "), but this form of deception can spin out of control. The Strategy: This is the perfect time to open a dialogue about integrity. Discuss with your child the importance of taking pride in one's own work. And if that doesn't do the trick, there's always detention. Fear of getting caught and landing in a stuffy classroom after school for a month can do wonders to break this habit. Has your young scholar developed a new talent such as shooting milk from their nose, burping, fake farting or fake vomiting at the table? How charming! We feel your pain. These gross tricks are stomach churning, appetite-ending and seriously embarrassing in a public setting. The Strategy: This type of behavior is hilarious to kids and their friends, and unfortunately, it's to be expected at certain ages. 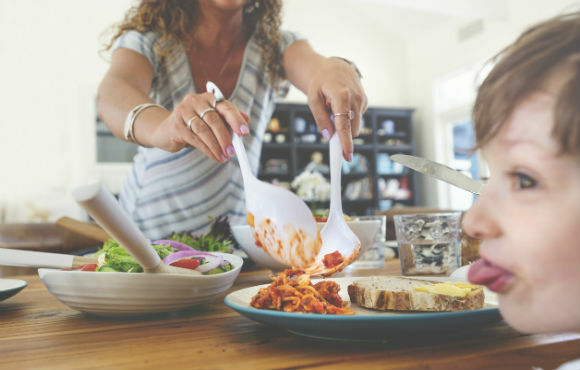 The best thing to do is to tell your child that there's a time and place for everything, and the dinner table is not the place for these antics. However, if they enjoy doing it on the playground with their friends, so be it. A cafeteria classic, this habit spans all age groups. In fact, most adults will even admit to ditching their quinoa salad in favor of a burger sometimes. 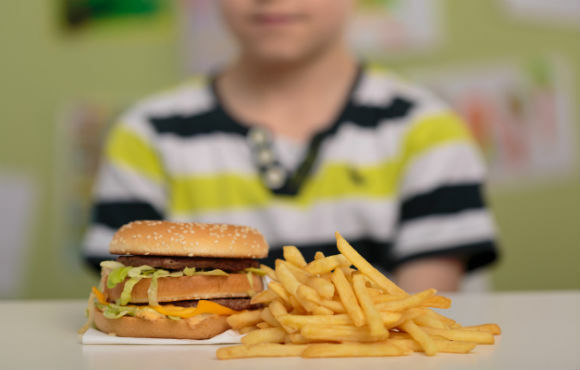 If your little gourmet develops a preference for fries, candy bars and soda after starting school, the earlier you can address it, the better. The Strategy: Setting an example is step one. When kids see their parents eating healthy meals and skipping junk food, they're more likely to do so themselves. Also, involve your kids in the lunch-making process. Let them choose sandwich fillings, bag up their favorite fruits and veggies and pick a once-a-week sweet treat. When kids help with the menu, they're more enthusiastic about the meal. Who can't remember wanting to dress like 25 at 12-years-old? Or insisting on a t-shirt and shorts in the middle of winter because "that's what everyone else is wearing"? 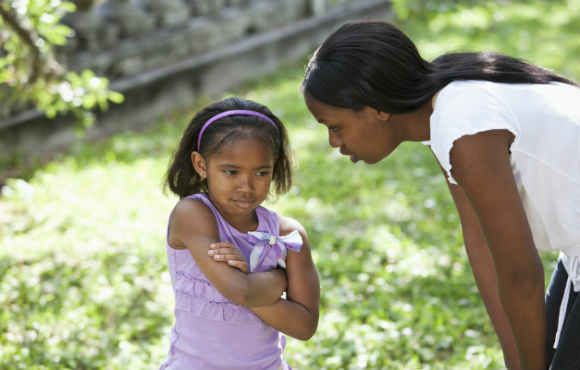 Dressing drama is real, and it can cause major friction between kids and parents. The Strategy: A kid's budding identity is often expressed through clothing. Try to learn the "why." Are they trying to fit in? Or, do they feel like they stick out? Are they trying to grow up too fast? Let the answers guide a talk on peer pressure, modesty or how what you wear can affect how the world sees you. Finally, remember that fashion trends come and go. If all else fails, they may be "so over it" in a couple of weeks, anyway.